One of the most enlightening books I have read about soil health and animal nutrition was Natural Farming by Pat Coleby. Whilst we all know Australia has some of the most ancient soils on the planet, what wasn’t clearly understood was the relationship between soil minerals and animal (and also human) health. Pat was one of the first people to recognise that many health ailments in animals are caused by mineral deficiences. Natural Farming carries a simple message: healthy soil makes healthy plants which in turn make health animals and healthy people. Our vision is for healthy and ecologically sustainable grazing on our land. Basic soil tests have confirmed our soil is slightly acidic, but we haven’t conducted in depth mineral analysis of our property yet. Many animals have an ability to seek out minerals they are deficient in. One way to see what minerals your soil is deficient in is to offer minerals to your stock and see which minerals they seek. 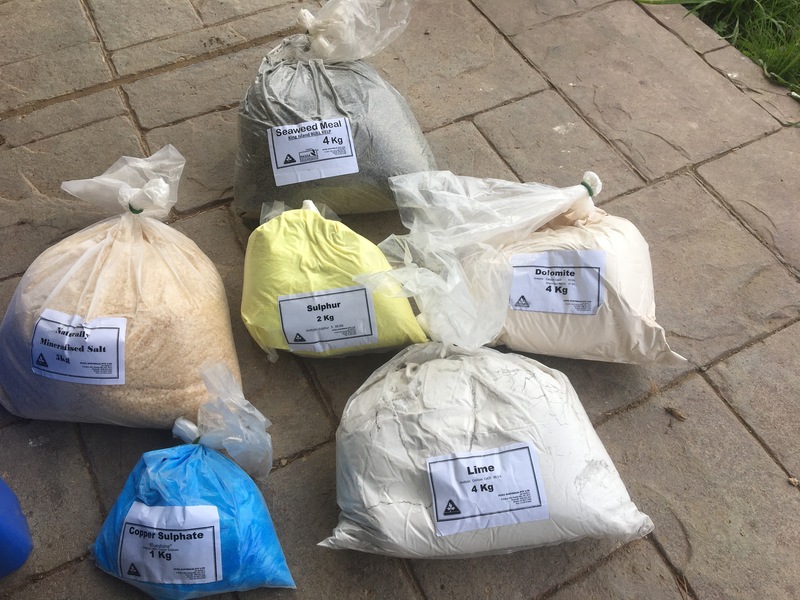 And so we purchased a sample kit, known as a Pat Coleby Starter Pack from VITEC in Victoria (http://www.vitec.com.au/shop-online/pat-coleby-minerals/stock-lick-20kg). The next part of the process was to construct a shelter for the minerals so that I could leave them in the paddock. 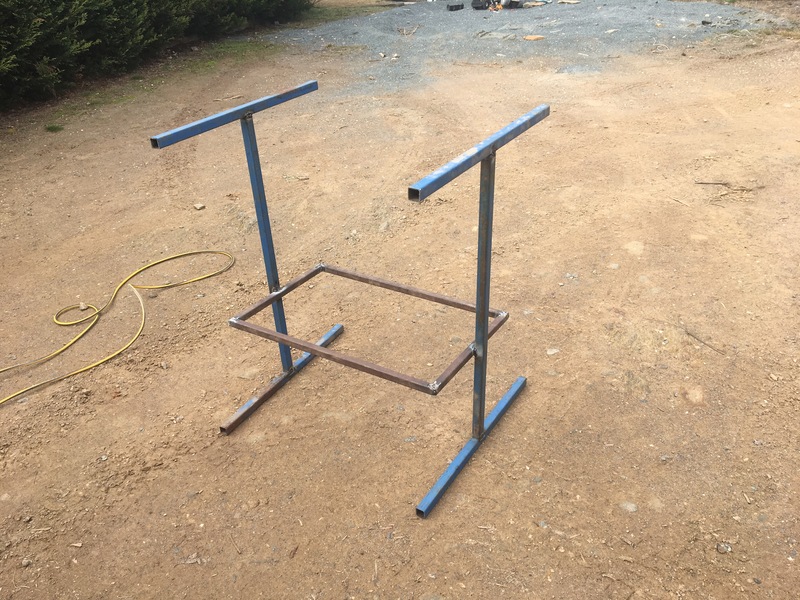 This took a bit more planning, but I soon found a few bits of steel and an old piece of corrugated iron around the place and with a bit of dodgy welding had knocked up a frame. 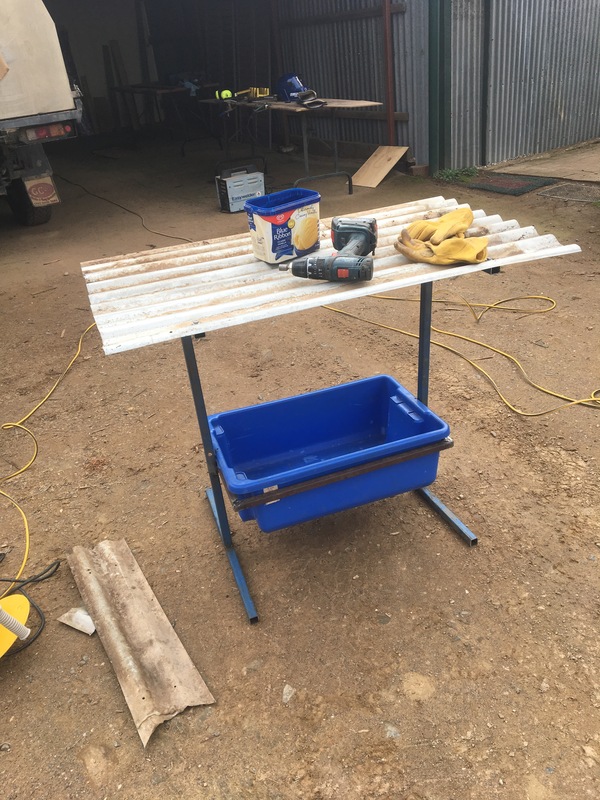 I decided to use a blue ‘nelly bin’ to store the minerals, and made a rectangular frame to hold the bin. I then made another frame to attach the roof to. Now that I had done the hard part, it was time to open the bag and check out the contents. The starter pack contained a mix of minerals. Dolomite, Sulphur, Copper and Lime, with mineralised salt and seaweed meal making up the rest of the pack. 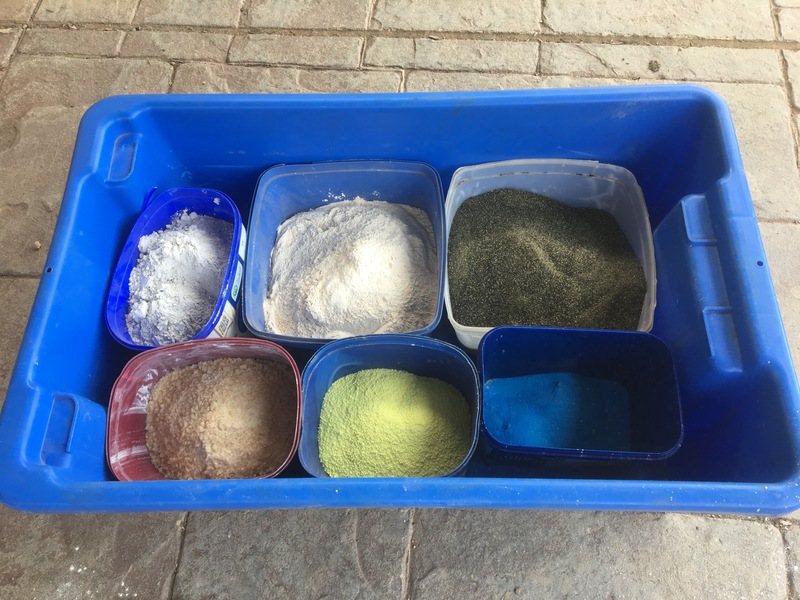 I split the various minerals into various ice cream containers – and they fitted perfectly into my nelly bin. It was now time to see what the sheep thought of them. 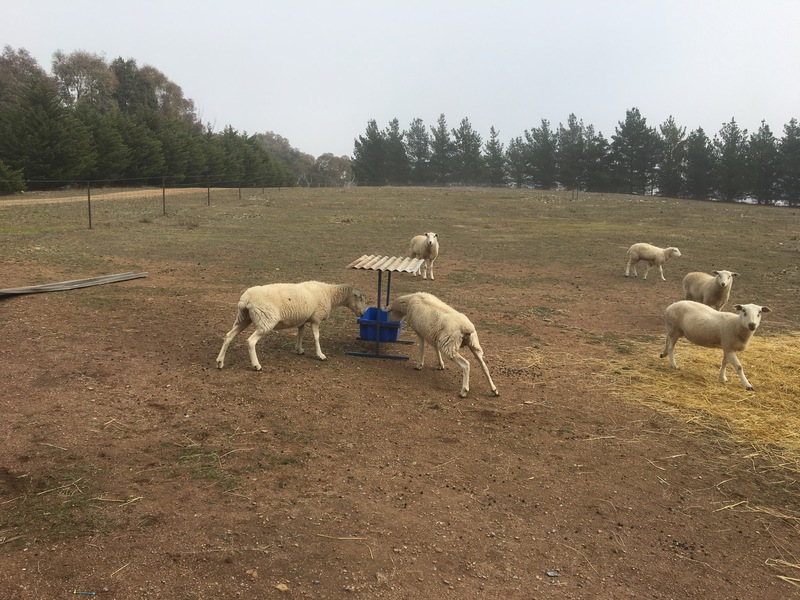 Well I cheated the first time – I put some sheep pellets into the nelly bin – to help them become comfortable with the new paddock sculpture. But once they had eaten all the food and I had replaced the pellets with the minerals, it was pleasing to see them have a nibble on the seaweed meal and try the other minerals. And so time will tell. It will be interesting to see what minerals they naturally seek – and this will give us a good indication where to focus our efforts on re-mineralising the Rock Farm. 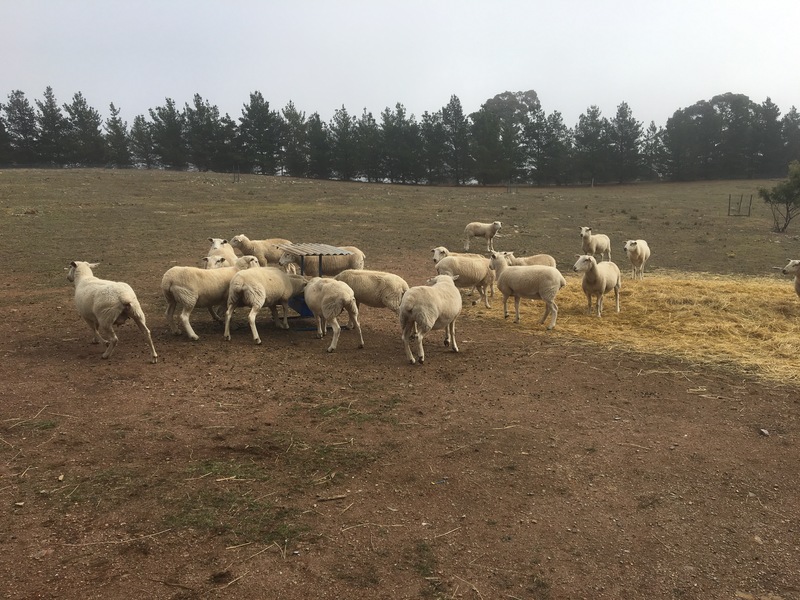 And this is part of the fun, ensuring our lovely sheep produce healthy lambs, and our soil improves over our tenure.